Looking for an old farm house vibe in the city? THIS IS IT! Plenty of peace & quiet yet so close to the heart of the Ridge @ 38th redevelopment - Right Coast Pizza, Colorado Plus, Wheat Ridge Cyclery, Bardo Coffee House, Lucky's Market & more coming! XL 2 car garage, plenty of room for all your toys. 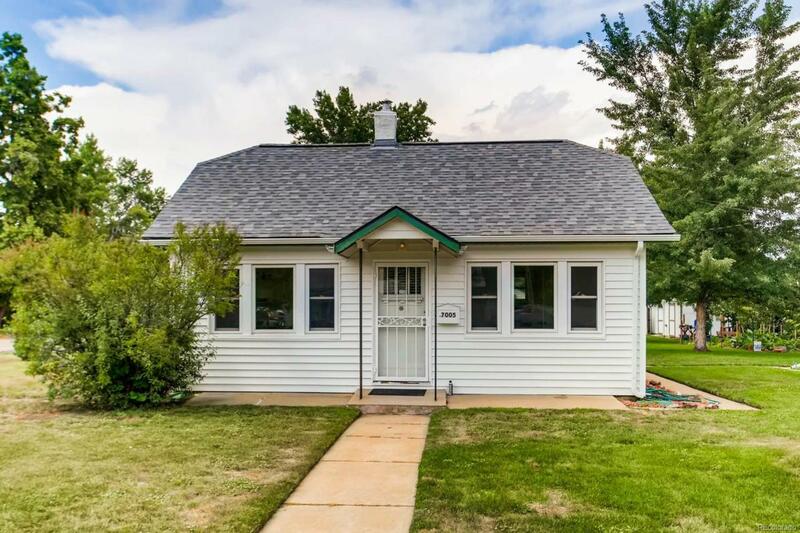 This is perfect for someone that wants quaint, simple living in an ideal location. Easy commute to Downtown Denver & the mountains. On a corner, so plenty of room for your raised garden beds or yard games. So close to the Highlands neighborhood, without the price tag or the congestion. Meet friends for dinner on Tennyson Street, grab a refreshment up the street at Colorado Plus & invite them over for a relaxed conversation in your private oasis. Rare opportunity, great investment opp!